Giovanni Francesco Albani was born in Urbino in 1649 to an aristocratic Umbrian family originally from Albania. He received a classical education, studying at the Academy of the deposed Queen Christina of Sweden in Rome. He received doctoral degrees in canon and civil law. By the age of eighteen he was a published author having translated several Greek manuscripts into Latin. In 1677 he entered the curial service and rose rapidly due to his intellectual prowess and high moral standards. His first appointments were to governorships in the Papal States, then as Secretary of Briefs in 1687 and as cardinal deacon in 1690. A very influential man during both Alexander VIII’s and Innocent XII’s papacies, it was Albani who drafted Innocent’s famous bull outlawing nepotism. 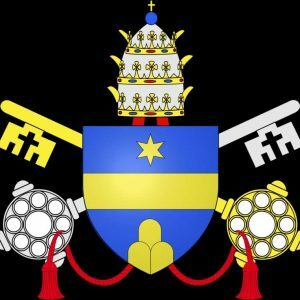 He was not ordained to the priesthood until September of 1700. 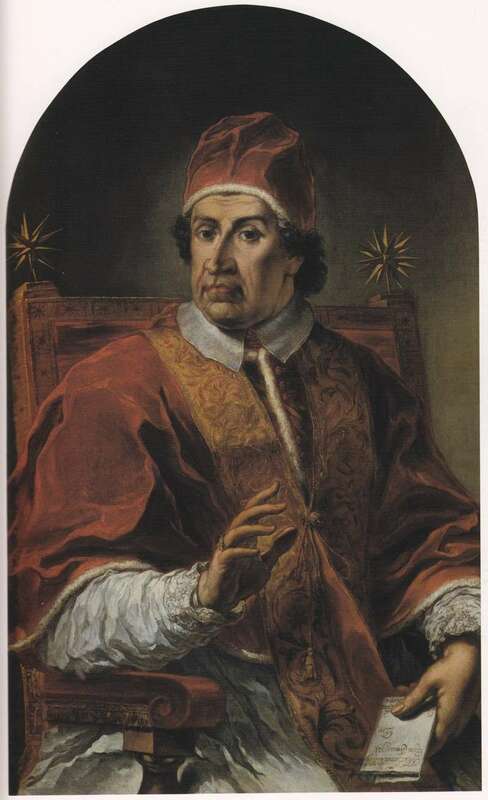 Upon the death of Innocent XII in 1700, a conclave lasting forty-six days elected Albani. 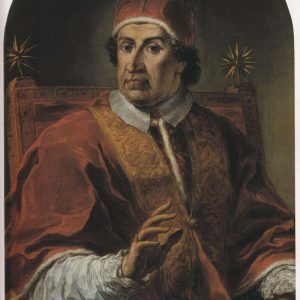 Despite his pro-French leanings, he was the candidate of the zelante, that is, the cardinals who wanted a non-political pope who would have the Church’s interests at heart. Albani, who chose the name Clement XI, was fifty-one years of age when elected. Although an austere and devout man, he lacked political skill and only reluctantly accepted the office after three days of anxious deliberation. It would be preferable, he said, if I had sufficient qualifications for the ministry in question. In the beginning of his pontificate he left no doubt about the kind of papacy he would put in place. He insisted that bishops who were not living in their dioceses return to them, giving them twelve days to leave the city of Rome. Clement inherited complex political problems caused in part by his predecessor’s choices. Innocent XII had recommended Philip of Anjou, the grandson of Louis XIV of France, for the Spanish throne. This action resulted in the War of Spanish Succession (1701 – 1714). Not only did the war expose Clement’s weaknesses, but also those of the papacy. Rome was no longer regarded as a major political influence in Europe. The emperor, miffed at the pope’s backing of Philip of Anjou for the Spanish throne and favoring the Hapsburg duke, Charles, invaded the Papal States and conquered Naples. In 1709, Clement XI was forced to abandon Philip V and recognize Charles as the legitimate king. In 1713, the war ended with the Treaty of Utrectht, in which Philip V was recognized as the legitimate King of Spain, and the pope was divested of various papal fiefs including Sardinia and Sicily, which were handed over to new rulers without regard or input from the pope. Then the Turks declared war on Venice in 1715 and Clement was unable to create a coalition against them. However, in 1716 the emperor, Charles VI (1685 – 1740) agreed to ally himself with Venice. A further humiliation was dealt the papacy when a Spanish fleet Clement had financially equipped for Philip V to fight the Turks was diverted to wrest Sardinia from the empire. Clement was indignant but powerless. It was only when a united front of France, England and United Provinces allied themselves with the emperor—and an English fleet wiped out the Spanish fleet—that Philip joined the Alliance and made peace with Clement. Before the end of King Louis XIV’s long reign in 1715, and even though he was much weaker than previously, he insisted the pope condemn once again the Jansenist teachings still current in France. In an initial bull in 1705 the pope issued his condemnation of several Jansenist propositions. In 1709 he closed the controversial convent of Port-Royal and dispersed their community to several other convents. In 1713, another bull, Unigenitus Dei Filiius, comprehensively condemned the movement. 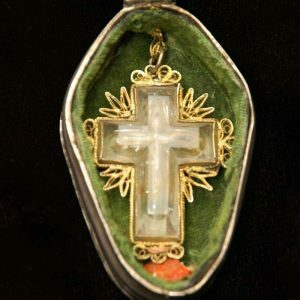 This was followed by the 1718 excommunication of several of their leaders. What is significant about this famous bull is the lack of action which followed. There was a complete disregard for the papacy. The excommunicants took no notice of the condemnation. It took until 1720 for the French government even to register the bull—and then only with safeguards for the traditional liberties of the Gallican church. Clement was keenly interested in the missions and founded colleges and promoted missions in India, the Philippines and China. Particularly in China, decisions he made had far-reaching consequences. 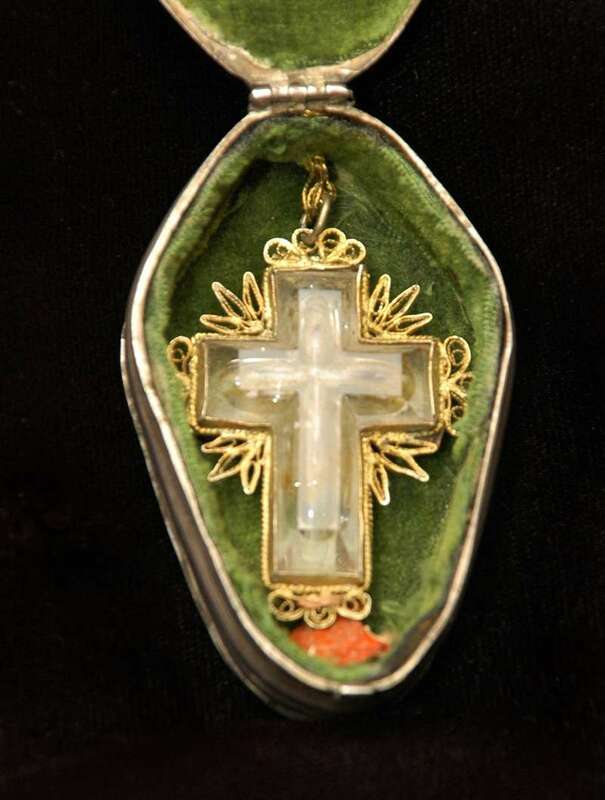 For some time the Dominican and Jesuit missionaries had been arguing about whether to allow Chinese beliefs and ceremonies into Catholic practices as a means of easing conversion. Whereas Alexander VII had sanctioned them in 1656, Clement ruled against the Chinese rites. The prohibition by Clement led to the persecution of Chinese Christians and the closure of missions. 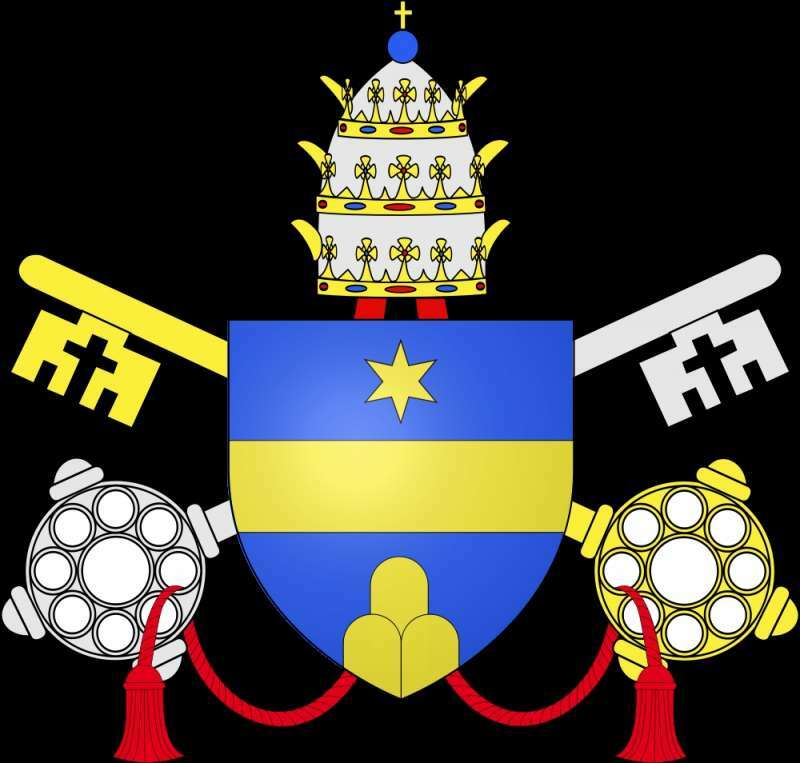 Pope Pius XII lifted the prohibition in 1939. Not only was he a generous patron of the arts and a great benefactor of the Vatican library, his interest in archaeology is credited with saving much of Rome’s antiquity. He forbade the looting of the city’s statuary, inscriptions and mosaics, punishing thieves and ensuring that countless relics would remain in Rome subject to civic control. Clement was a notable patron of the sciences as well, although they were carefully chosen. The Age of Enlightenment or the Age of Reason was due to the remarkable scientific advances in the 18th century. The movement embraced rationalism, progressive thought and human knowledge and freedom. Proponents were Rosseau, Voltaire and Thomas Jefferson. While carefully choosing some scientific advances Clement condemned and attempted to suppress many others. His most significant accomplishment was the financial support of a mathematician and astronomer named Bianchini. 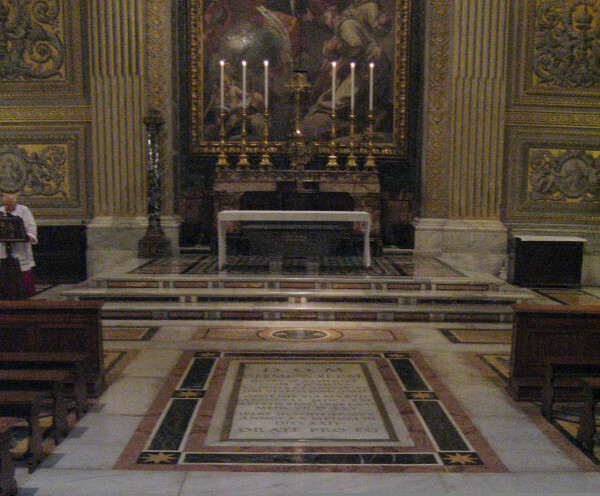 His supreme achievement was known as the Clementine Meridian at the church of S. Maria degli Angeli (St. Mary of the Angels), which accurately predicted the appearance of heavenly bodies. It was an important dating and navigational tool and was erected seventy-five years after the persecution of Galileo. Clement disbursed close to a million scudi of his own money for the needs of the poor just as Innocent XII had done. With the giving away of his inheritance, he left no doubt about where his heart was. 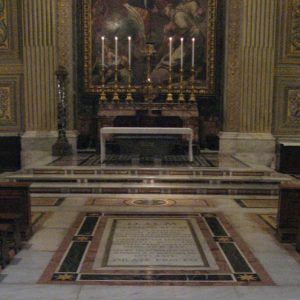 Clement died in March of 1721 and was buried beneath a simple marble slab, as he wished, in St. Peter’s Basilica.